Ping Pong, often referred to as Table Tennis, is the number one growing home recreational sport in the United States and it’s easy to see why. The game is great for your brain and hand-eye coordination. 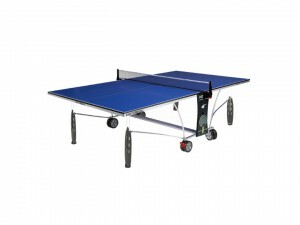 Some studies even suggest the mental activity ping pong provides can deter the onset of Alzheimer’s disease. There are several benefits to playing ping pong such as providing great exercise and helping small children develop good hand-eye coordination. People of all ages and degrees of health can play ping pong. It’s an incredibly easy game to learn but difficult to master so boredom is never an issue. 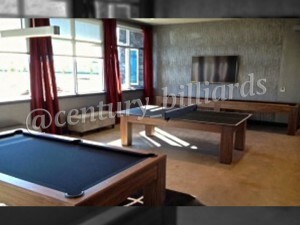 If you’re thinking of buying a ping pong table, Century Billiards & Game Room is your perfect choice due to our superb selection of game tables and customization options we have available. We can let you customize your ping pong table however you’d like it. 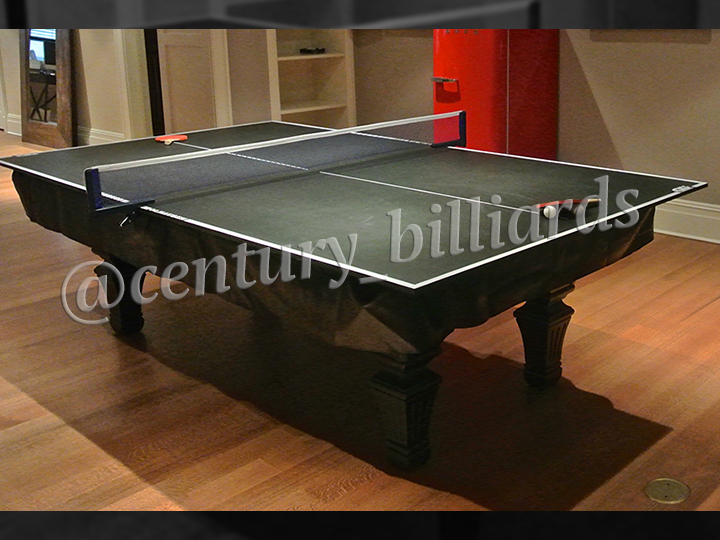 Here at Century Billiards & Game Room, we carry the best ping pong tables so you know you’re getting a quality table that will last a long time. 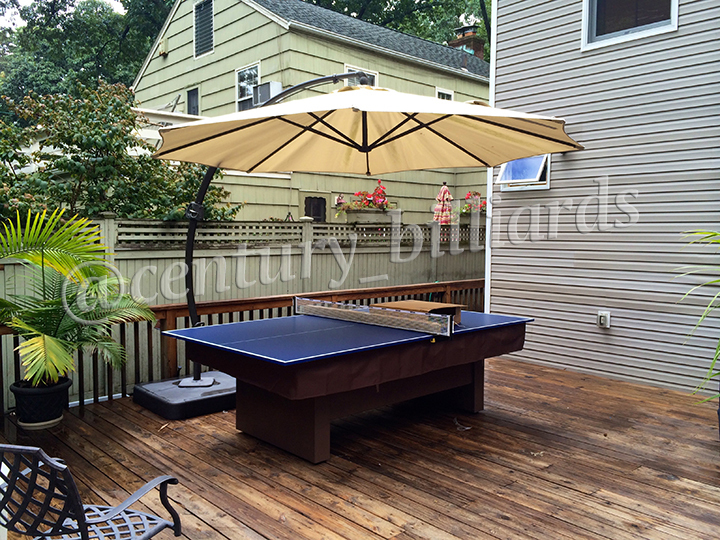 Working with Cornilleau, a French manufacturer known for superb quality, we bring only the best ping pong tables to Long Island and the greater New York area. Whether you’re seeking indoor or outdoor pool tables or tables for competitive or casual play, we have what you’re looking for. 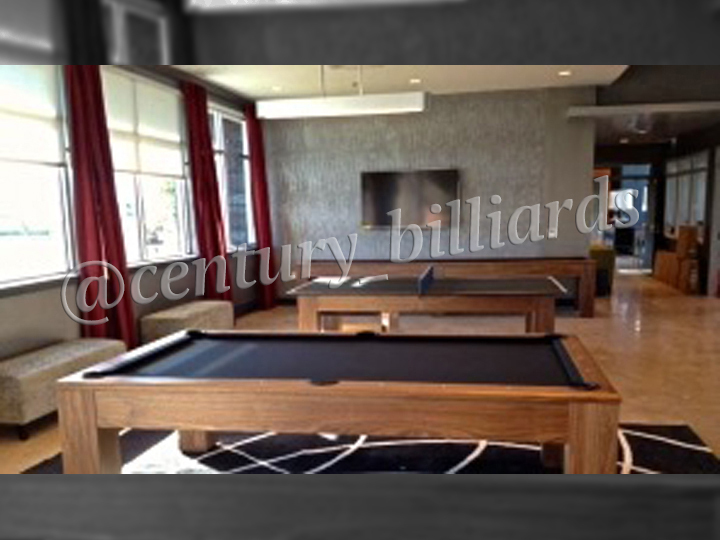 At Century Billiards & Game Room, you choose from any style or design to suit your needs. We have everything from foldable ping pong tables that can fit in tight spaces to the highest quality tables for players who want a luxury experience and ultra-modern designs. 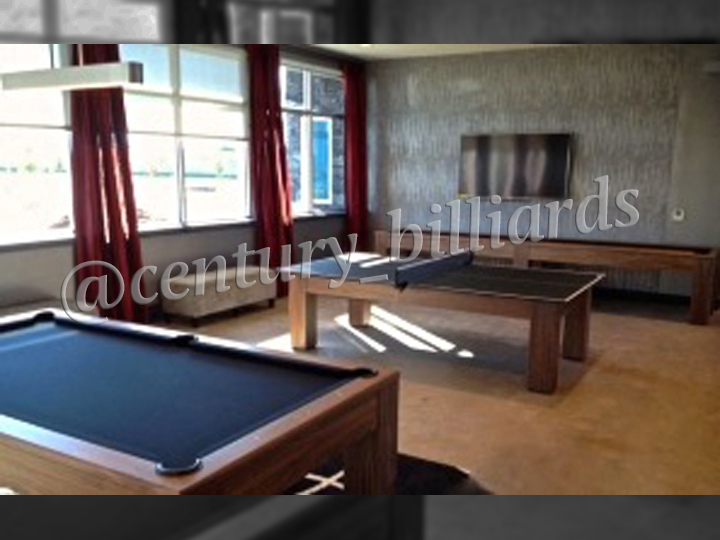 Customer satisfaction is Century Billiards & Game Room’s number one goal. That’s why we encourage customers to visit and “try before you buy.” With more than 100 years of experience as game table professionals, this means that we provide the advice that ensures you love your new ping pong table. – Will you keep your ping pong table set up permanently or do you want one that folds up for storage. If you will be folding and opening it frequently, look for one that can be easily set up by one person. 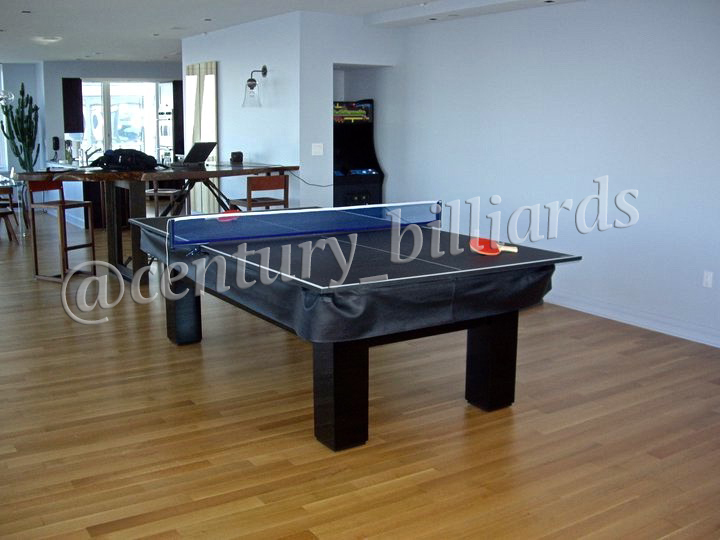 – Serious players generally want a 1-inch thick top for a good, even bounce. Casual players are generally fine with a 0.75-inch-thick top. – Check all sides of the table surface to ensure it’s level. Warped or uneven surfaces can affect ball bounce. – Look for net clamps that don’t dig into the surface or underside. Net attachments with a soft surface to grip the table without scratching it are best. 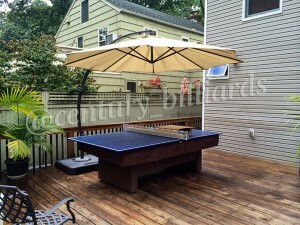 – Do you want an outdoor ping pong table? Will you play exclusively indoors? Or do you want a portable table that allows you to do both? 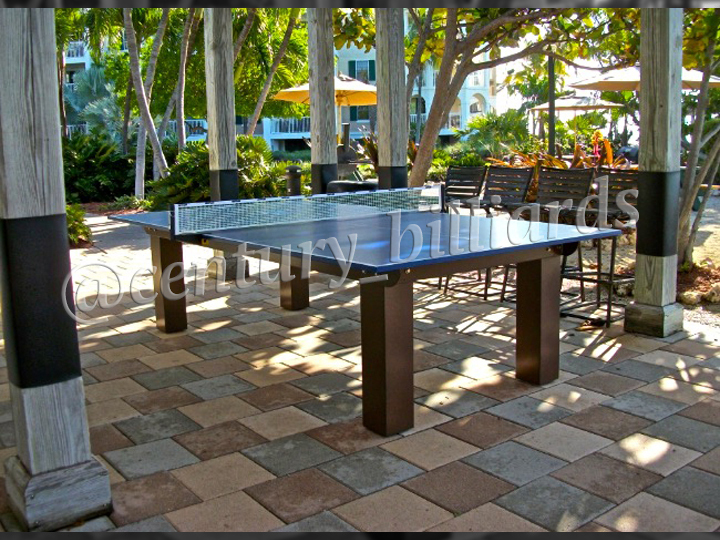 In addition to our extensive selection of ping pong tables, Century Billiards & Game Room can build you a custom outdoor ping pong table. We’ll create exactly the table you visualize in terms of color, style, and design. 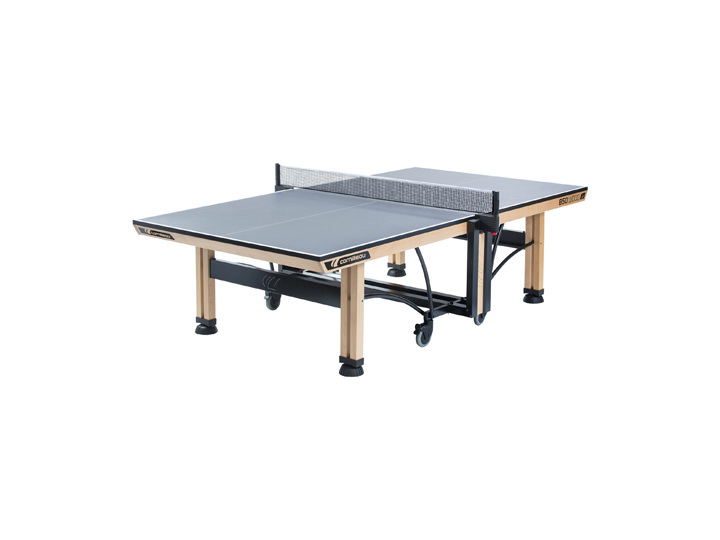 Because they’re made with high-quality materials like specialty commercial metal nets, our custom ping pong tables are strong and durable, ensuring decades of play. We’ll also work with you during every step of the process of creating your perfect ping pong table. Those who are less physically fit can compete equally with those in great shape. The rules are simple and quick to learn. 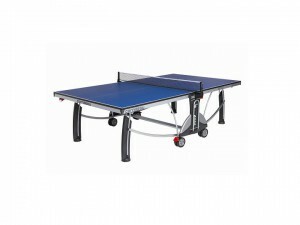 The smaller space and racquets make ping pong much more challenging to win than tennis badminton or squash. Ping pong challenges both the brain and the body making it a well-rounded exercise. Exercise releases endorphins, which improve your mood. Ping pong requires focus, which can take your mind off problems – and it’s cathartic to smack the ball around. All of these reasons and more make ping pong a great activity for families. 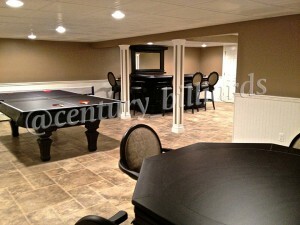 Ready to Buy a Pool Table? 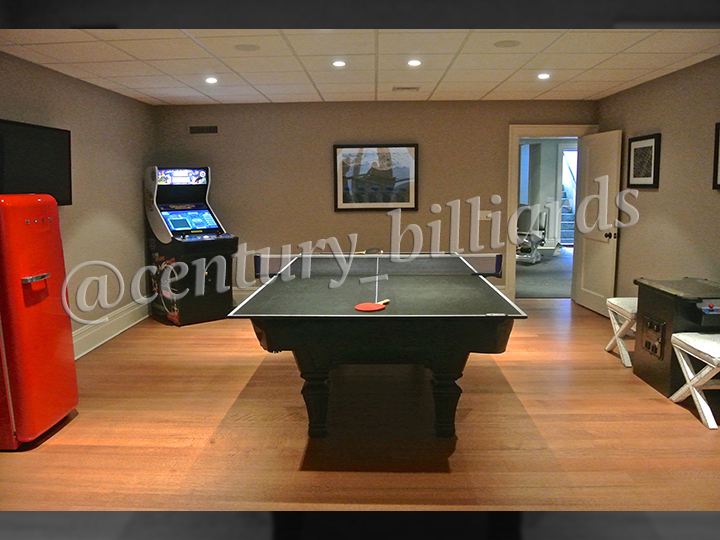 At Century Billiards & Game Room, we’re the experts in ping pong tables on Long Island. 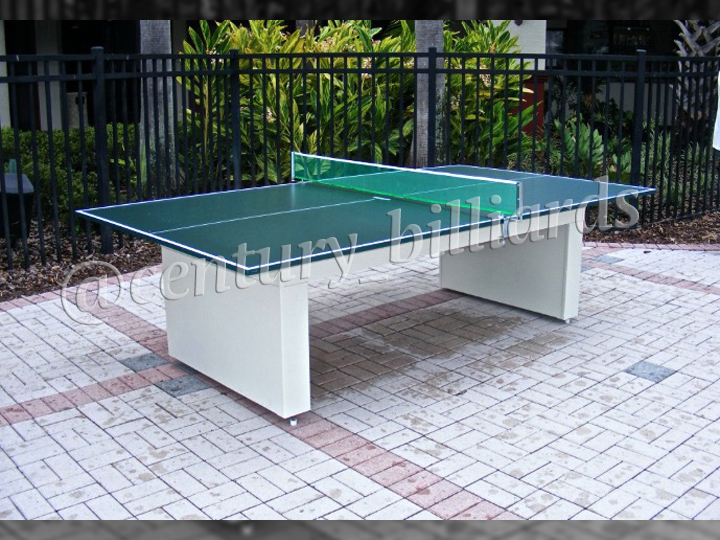 Come see the many options we have for indoor or outdoor ping pong tables. You can even try out a table before you purchase. 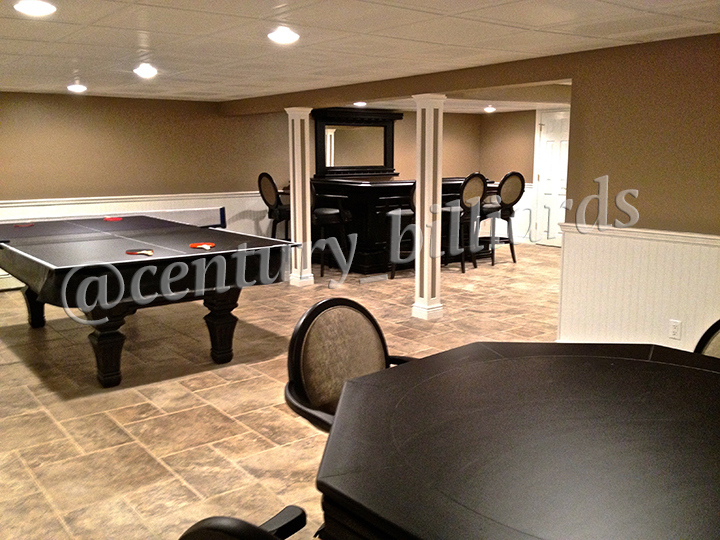 We will work with you to find the best fit for your needs and will walk you through the process of customization. Fill out our contact form, schedule a consultation below, or give us a call at 631-462-6655 to get started.